Quad Day featuring the Ultimaker 2! MakerLab and MakersUIUC welcomed students to campus on Quad Day 2015. Last Sunday, August 23, MakerLab was very excited to display its new Ultimaker 2 3D printer! The Ultimaker 2 was generously provided to the lab by Ultimaker to help educate students on 3D printing technology and encourage creative design and prototyping. MakersUIUC hosted the table and also shared some of their creations. Students who stopped by the booth were encouraged to write down their ideas for fun projects to build in attempt to inspire creative solutions to common problems. 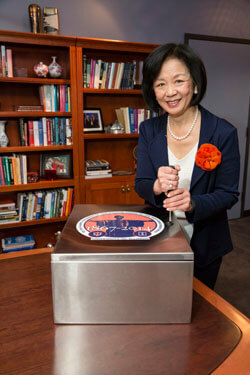 Earlier this month, the Alma Mater returned to campus and withit a time capsule was placed into the base of the statue. Inside of the time capsule the College of Business placed two 3D printed models, a mini MakerLab keychain and a scale model of Altgeld created by the Illinois Geometry Lab, which is housed at Altgeld itself. The Alma Mater is one of the most recognized symbols of the University and has represented our motto of 'Learning and Labor' since its unveiling in 1929. Since the statue has been restored, it will now stand for many years to come housing the 3D prints within the capsule until it is opened in the future. Help us win - Vote for our Video! 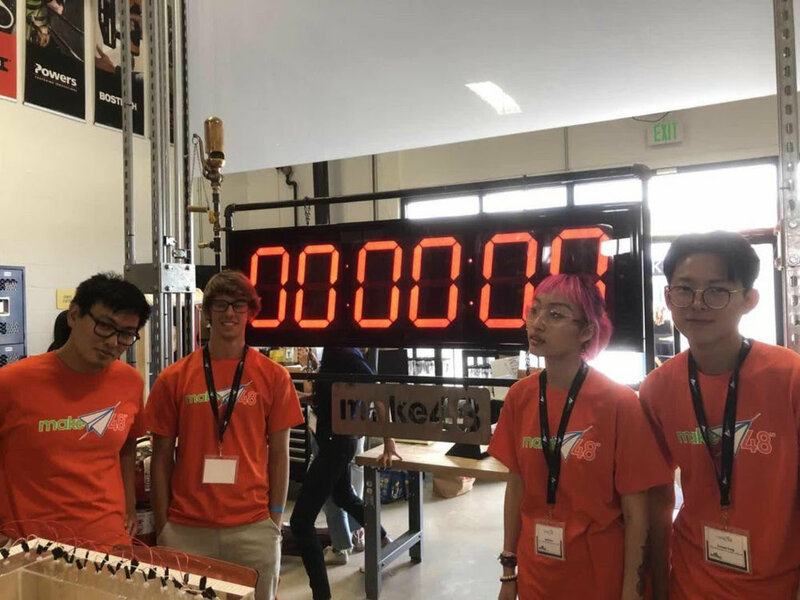 The College of Business has submitted a video of the MakerLab for a competition hosted by Educause. This video competition focuses on six emerging educational technologies: the flipped classroom, learning analytics, 3D printing, games & gamification, the quantified self, and virtual assistants. These six themes were identified in the 2013 NMC Horizon Report, which featured our new lab on its cover! There are 21 video submissions by a variety of institutions, including the University of Michigan, Ohio State, and Penn State. Of these 21 submissions, six focus on 3D printing.